For even the brightest students from deprived backgrounds, life often falls short of expectations. But why? 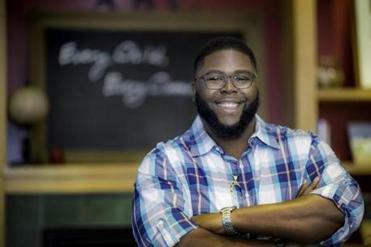 The Globe’s recent Valedictorians Project shone a light on life after high school graduation for Boston’s sharpest students and found instances of homelessness, low wages, and dreams deferred. 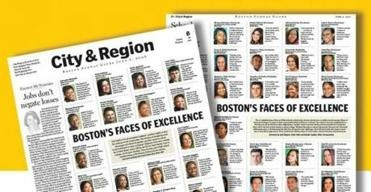 The reporting raised the question of whether the Boston Public Schools are preparing their best students to succeed. Harvard education professor Anthony Abraham Jack zooms the lens out even farther. In his forthcoming book, “The Privileged Poor,” he examines whether larger structural factors, like poverty, are behind the college struggles of many poor students. Jack’s research included more than 100 interviews with a diverse group of students and spanned two years of ethnographical observation at an unnamed elite university. In his book, he draws distinctions among disadvantaged students, rather than treating them as a monolithic group. 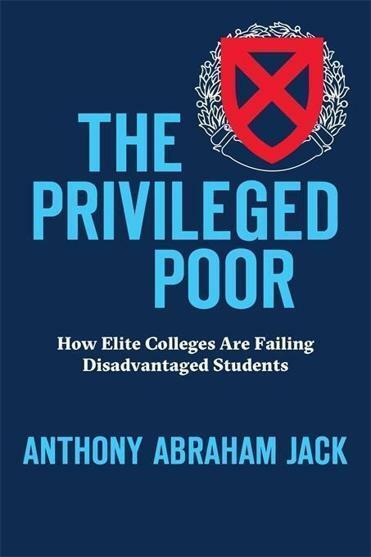 Some poor students — whom Jack describes as the privileged poor — had mentors and experiences that taught them how to navigate a college campus and take advantage of the resources offered there. Others arrived with little knowledge of what would be expected of them. Harvard education professor Anthony Abraham Jack. Colleges and universities must recognize the diversity of disadvantaged students in order to properly meet their needs, Jack argues. Ideas talked to him by phone. The transcript has been edited and condensed. When the Globe tracked former Boston valedictorians from 2005 to 2007, it found that a quarter didn’t finish college, none became doctors, and some had experienced homelessness. What’s happening? 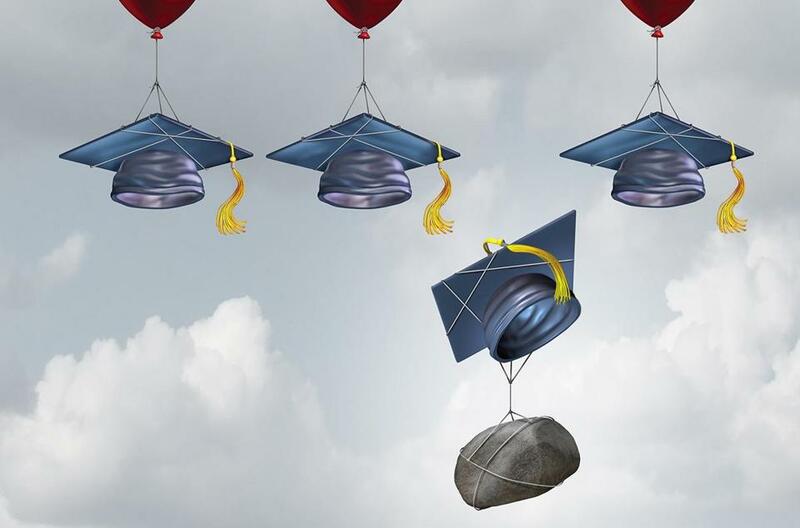 Schools can only do so much, and getting in [to college] is only half the battle. We don’t know how much debt students took on across the group, and we don’t know how much students were forced to work, and all the things that take students away from performing academically at their best. I was left asking: What happened once these students got on campus? What undercut their experiences? I want to know more about the everyday experiences. I want to know about the interactions with faculty, and did you feel included in the community? What was your sense of belonging? What I think this project does beautifully, and it saddens me, is it shows the pernicious effects of poverty and inequality in the lives of our brightest students. There is no safety net for the poor in this country, and not even in a city as resource-rich and as beautiful as Boston. In the book, you say colleges should recognize that access is not inclusion. What do you mean by that? To admit a diverse group of students means that you are committed to educating and taking care of a diverse group of students. I am pushing colleges through my research to pay more attention to these very factors. One out of 10 students that I interviewed for my book also experienced homelessness before coming to college. Instead of looking at it as, “How did BPS not prevent homelessness for a valedictorian?,” the real question is: “How many times had that person faced eviction and homelessness during their trek from kindergarten through grade 12?” Homelessness does not strike randomly. It usually is repeated, with evictions and homelessness and bouts of housing insecurity among the poor. And so again, the pernicious nature of poverty and inequality in the lives of our brightest. It’s sad that a valedictorian was homeless, but the question is, given rising rents in Boston, given the decline in jobs, of real wages and living wages, how many times had that person’s family been food or housing insecure while he was in high school, as well? What else do students need? Honestly, a lot of the valedictorians needed two types of support: one to deal with the past, and the other to prepare them for the future. Lower-income students, and especially the valedictorians highlighted in the Globe article, face some real trauma in their lives. That trauma is painful, that’s a load that we have to bear, and I think a lot of students would have benefited from some kind of support services to deal with that pain. But I also think that high schools and the city can invest in preparing students for what is to come in college. My work, I hope, pushes people to make the path and the expectations explicit. There is a hidden curriculum that operates on these college campuses that is hard to decipher. Quite frankly, it’s not just about the work. It’s about the social dynamic. Students are not prepared for a lot of the interactions that they have with their peers and professors all day, because colleges look very different than high schools — unless you went to Andover, Exeter, and Deerfield, and places like that. It’s about feeling out of place. Can you really focus on the material in front of you when you’re always looking to your left and to your right? You talk about the benefits of office hours and internships — both of which can help poor kids a lot if they know about them. But what about unpaid internships? Personally, I’m trying to figure out why the hell are we still allowing students to do unpaid internships. I don’t believe in unpaid internships. Just like nothing in the world is free, these students are investing their time, energy, and money into doing a ton of work for these industries, whereas their wealthy peers, who tend not to need the money, are able to get an internship at JP Morgan or Goldman Sachs, and they’re getting paid $10,000, $15,000, $20,000 for a summer. That’s not fair. I would love for universities to step in and push industries to move away from doing unpaid internships. But hopefully in the meantime, college and universities can take the affirmative step and support every one of their students to at least do one unpaid internship during their time as an undergrad. You end your book by stating that poor students should push their colleges to improve their policies and programs. But isn’t that a big task for a student who’s from a disenfranchised group and is dealing with a lot of other problems? I don’t want students to spend their time trying to write out what the school should do. But students should not let their needs be left unsaid. They should not be silent when they are suffering. If there are things that they actually need, students should use their mentoring networks at the college to talk straight to their advisers and let it be known what obstacles they are facing and enlist people to work on their behalf. I’m not saying that one student should go on a one-woman campaign to change Boston University because, without faculty support, it’s not possible. I encourage [students] all the time: Let your voices be heard, whether that means speaking to a local newspaper on campus or a city newspaper, or whether it means sending an e-mail to the president. Sending an e-mail doesn’t hurt. It’s scary. Will that person respond? But I’d rather be scared of an e-mail than go hungry during spring break.